Did you eat today? Thank a farmer! Technology advances each and every day, providing more tools to help us create efficiency and prosperity. 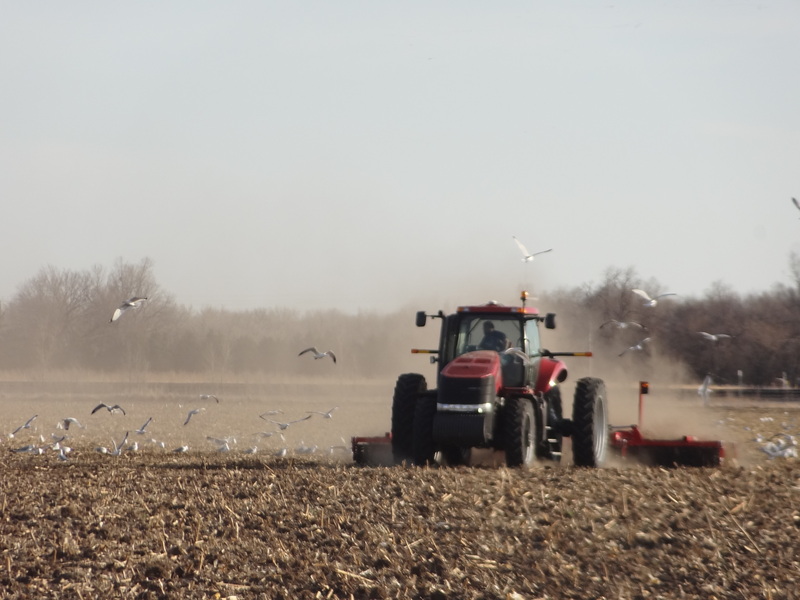 For example, larger equipment, GPS guidance systems, and improved computer software affect many different types of businesses today – and agriculture is no exception. We can move faster and with more precision, trace more things, and create reports that analyze our performance on a variety of levels. All of these things help farmers to be better today than we were yesterday. Despite incredible advances in technology, I still firmly believe that it is people, not machines, that play the most pivotal roles in growing food. Behind that great tasting steak on the grill is a hard working group of men and women who offered care to the animal across its lifetime. By care I mean not just giving them nutritious feed, water, and a place to rest, but teaching the animal how to prosper in a variety of situations along the life journey. I remember sitting in an animal welfare meeting several years ago and hearing someone remark, “We need to continue to make more things automated in agriculture because people are our greatest liability”. While my head acknowledges that sometimes people make poor choices that negatively impact others (including animals), my heart still holds faith that integrity prevails. I believe that the soul of agriculture is its farmers. The occasional hurtful caregiver may make the evening news and go viral on social media; but at home on the farm are hundreds of thousands of others who are good caregivers and work with integrity to grow the steak that graces your grill. I recently wrote about Finding Honor In Our Lives, and how work is part of God’s plan for humanity. Each of us brings honor to our faith when we honestly and fully engage in our jobs. 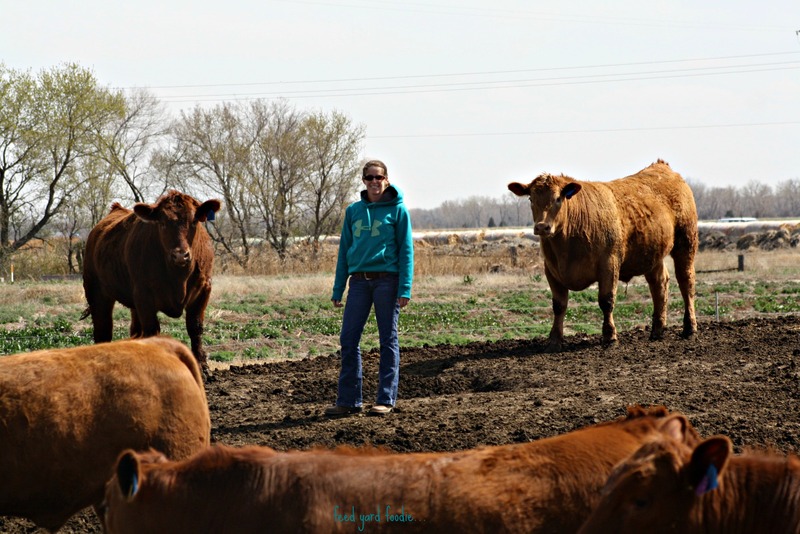 Raising cattle for beef production requires a special type of person. Our animals are sentient beings – they don’t just need, they feel – and they are able to communicate with us. Good caregivers learn to understand animal feedback and use that information to individualize care. Technology helps us to do that job, but even the best machine cannot provide the caring leadership needed to enable cattle to prosper. If the soul of agriculture is its farmers, then the future of agriculture manifests itself in the young people who aspire to be the next generation of animal caregivers. 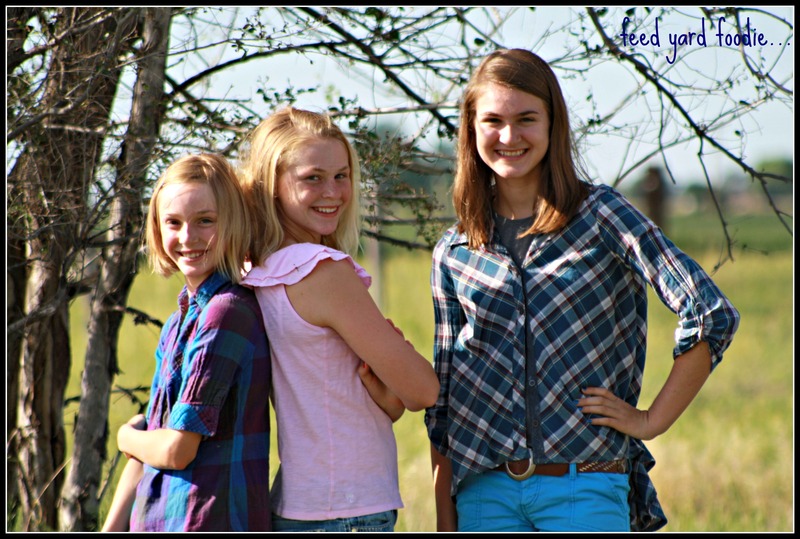 I am often asked if any of my three daughters plan to return home to the farm after college. The honest answer to that question is, “I don’t know”. 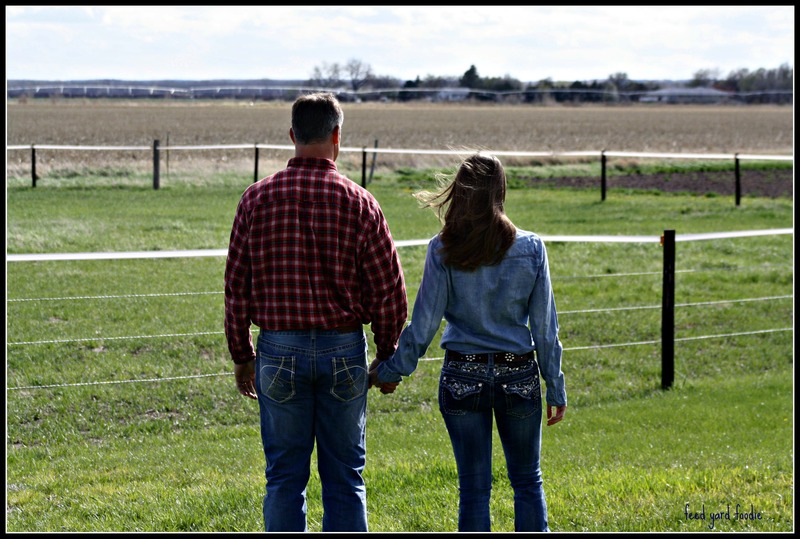 I know that our future necessitates farm kids like mine coming home to continue the tradition or at least remaining involved in agriculture; however, wishes and reality do not always find harmony. Farming is a tough life. It is filled with long hours and many worries. In addition, over the past couple of decades, the connotation of a farmer has shifted away from something positive and trustworthy. That weighs on me as I have conversations with my kids about what life path they should take. I believe that our country has a necessary call to action. Humanity cannot exist without life. Life cannot exist without food. 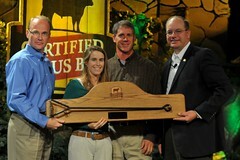 It is time for all of us to unite in the knowledge that there is honor in the profession of farming. Placing value on the people who tend the land, care for animals, and help to put food on the table creates a culture of honor that helps us to sustain on into the future. That might very well provide the key to inspiring kids like mine to choose a life path that involves agriculture. Technology aids in the production of food, but it can never replace the men and women who pack their FAITH each and every day to put food on our tables. How long has it been since you thanked a farmer? As a kid, I played Monkey In the Middle with my older brother and his friends. They delighted in throwing the ball far above my head making the likelihood of me catching it microscopic in nature. Every once in a while, I outsmarted them and snagged the ball which earned me temporary bragging rights — but mostly it left me frustrated and unequipped for success. The buzz word sustainability often takes me metaphorically back to that childhood game. The word itself encompasses such a broad range of ideas and topics that it becomes difficult to tie it down into meaningful bullet points for action. The politics surrounding the word also exacerbate the inherent complexities as large corporate businesses, NGO’s, and politicians bat the word back and forth in an effort to prove to Americans that they are engaged in the conversation. Without a doubt — the sustainability of our country, our culture and our planet is vital to both our present and our future. Effectively learning from the past, changing our actions in the present, and teaching our children how to protect for the future helps to ensure our livelihood. There is no easy or simple answer to the challenge of creating something meaningful and sustainable. It takes both a grass roots understanding of the challenges as well as dedication on the part of each individual to work toward positive action. Sustainability is a team effort — One that effects each and every one of us in multiple ways. Understanding that responsibly growing food animals is a complex challenge that includes a dedication to environmental stewardship and quality animal welfare. They gather closely around me because they are thoughtful and curious. They choose to do this despite the large amount of space in the pen that they call home because they trust me as a caregiver. There is one component of sustainability that is often not voiced. I am deeply saddened at the lack of trust and faith that Americans have in farmers. From the individual American — to the large corporate grocery store– to the philosophical intellectual foodie — to the NGO — to the government — In the last twenty years, our country has collectively abandoned support for the people that grow food. Instead of building appreciation and goodwill; a plentiful, diverse and safe food supply has rendered the American people unsatisfied, distrustful, and accusatory. Sustainability is not possible without nourishment. Widespread nourishment disappears when the American Farmer decides to only feed his/her own family and leave the profession of agriculture behind. There will come a point when those of us who work to feed the world will decide that it really just isn’t worth the pain when the only thing that you get in return is the ability to wear the monkey hat. Do you value the farmer who feeds you? Please take the time to request that farmers be included in the sustainability discussion. *If you missed the winter blog posts on this subject, some of them are chronicled according to topic below. 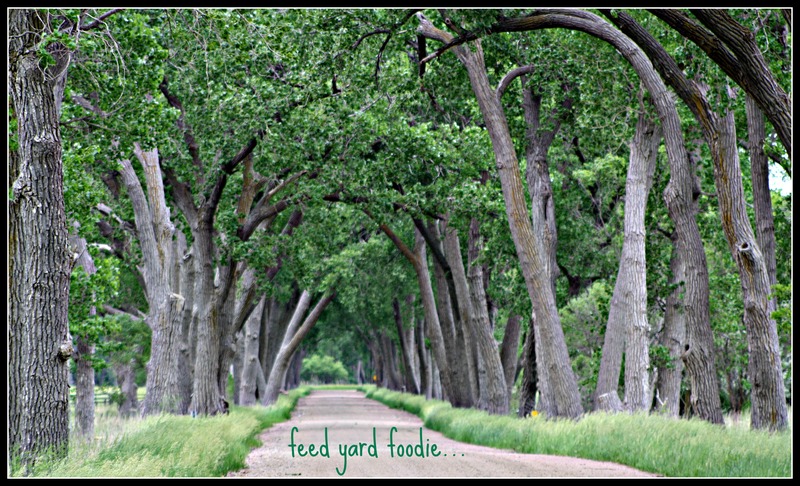 The Love Food Friday spring series offering food waste elimination tips from Chef Chris Giegel. 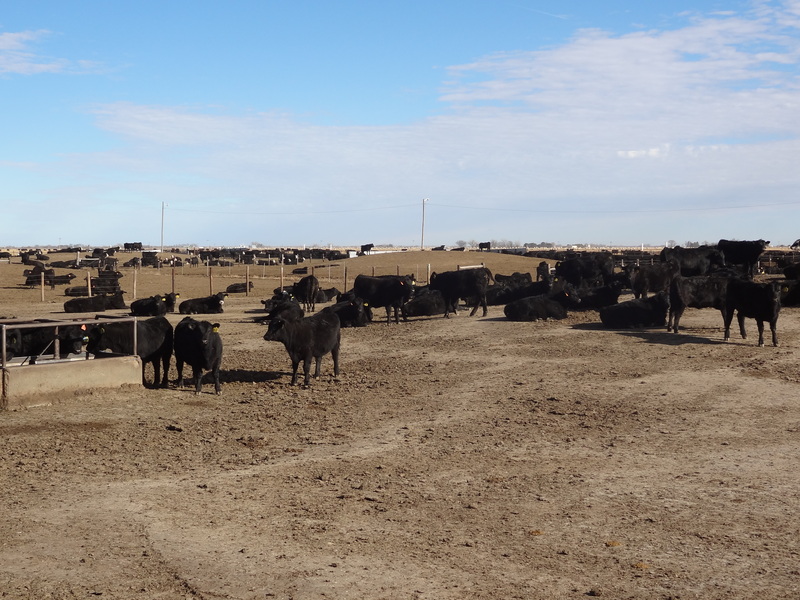 How Do You Know When a Group Of Calves Are Acclimated? 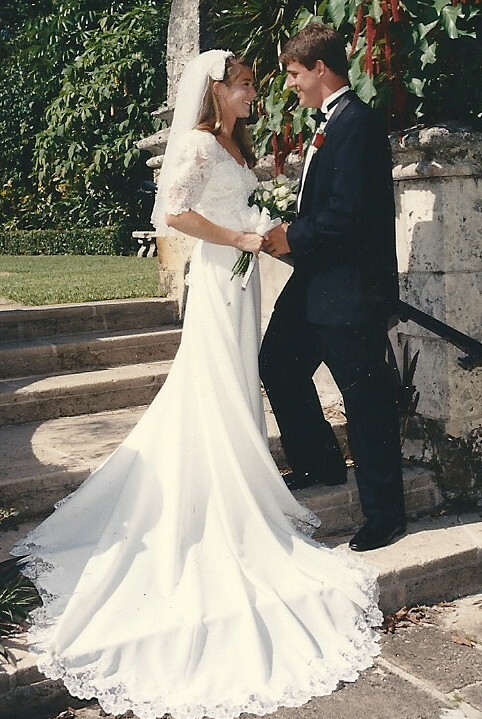 I met my favorite farmer at a Dartmouth College fraternity party more than 22 years ago. No matter how many times they hear it, my daughters love listening to the story. Halloween night the senior football player, wearing devils horns glued to his head, meets the underclassman swimmer. They visit for a few minutes and then the swimmer goes home. The senior football player again meets the underclassman swimmer, same location but without the devils horns. They visit for a few minutes and then the swimmer goes home (early morning swimming practice generally motivated good behavior). The senior football player walks around the underclassman’s dorm looking for her (having only her first name and the knowledge that she was on the swim team to go on). Fate was on his side, and her door was decorated with swimming spirit signs for the season opening meet against Brown. He had found her! But, his luck fell short, his swimmer wasn’t home. and, they fell in love. The part of the story that always brings the most drama from my daughters is the fact that I wore a flannel shirt and blue jeans (with no bling!) on the nights that we met and on our first date. The look of incredulity on my fifteen year old’s face upon learning this fact was truly priceless. This tidbit of information firmly places me on the bottom end of any teenage girl’s fashion scale. Add onto it the fact that I have never really worn any makeup and consider brushing my hair the extent of getting ready to go out – and you can begin to imagine the dramatic noises that might be uttered during the story telling session. It could be argued that my favorite farmer and I lack bling. We aren’t flashy and ostentatious. The kind of spark that we have comes from a deep love for each other, and a passion for caring for both our farm and our community. While we will likely never been considered sensational, we hope that our contribution is meaningful – that our story gives a glimpse into the lives of the family farmers that grow your food — that our toils produce nourishment for those in need. Perhaps, most importantly, amidst the dramatic eye rolling is the learned lesson that real bling doesn’t come from jewels on the back seat of your jeans! As I watched these young ladies dominate the team competition at the Broken Bow Invitational Cross Country meet on Saturday morning, I thought of farmers. 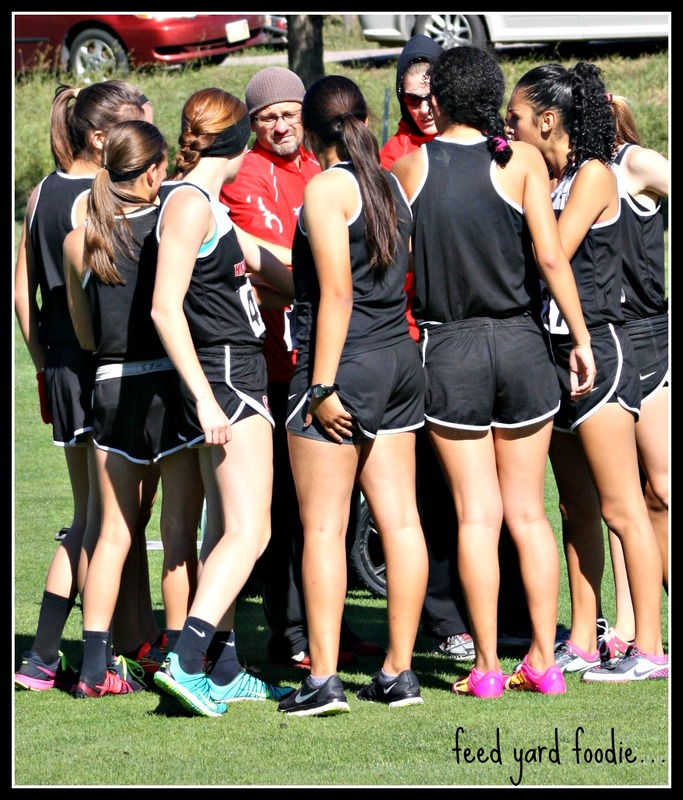 A very wise coach has taught these athletes how to “pack run” — setting both group and individual goals, and mentally supporting each other through the long 5K high school races. I think that many distance runners would tell you that the middle of the race is the most challenging. The adrenaline from the start has worn off, but the promise of the finish line is still miles away. The culture of the “pack” lends strength to both the individual and to the team as well as building tenacity for the long run. The journey of the American farmer is much like a distance running race. Growing food is an expedition full of challenges. From Mother Nature, to the availability of natural resources, to food safety, to animal welfare priorities, to ever increasing government regulations, to sharing the story of food production. Every day is it’s own race, and the days clump together into something similar to a marathon. I believe in the power of teamwork. The lonely individual marathon of farming can be overwhelming, especially while embarking on the trek of transparency and sharing the realistic story of modern day food production. 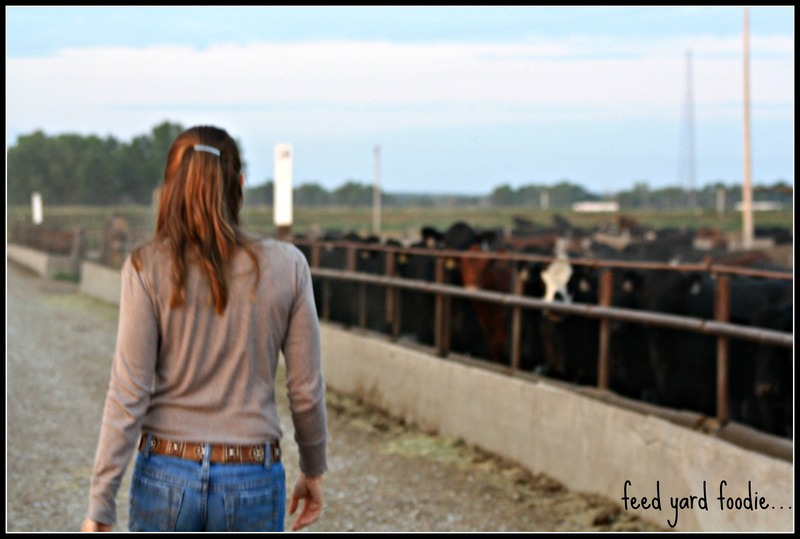 It is hard to motivate at the end of the day to post blogs and pictures — even when you believe in the necessity of reaching out and explaining your farm story. Some of the challenge comes from simple physical fatigue, and some comes from the fear of ridicule and harassment from those that do not believe in raising animals for food production or using modern food production systems to raise them. While each individual farm has it’s own uniqueness, farmers share many things in common. Embracing the “pack run” philosophy could be a very powerful tool for American agriculture. There is certainly some of this already occurring, but it is a concept that could be used on a much more powerful scale. The first step is for farmers to adopt a universal set of basic standards for responsible food production. 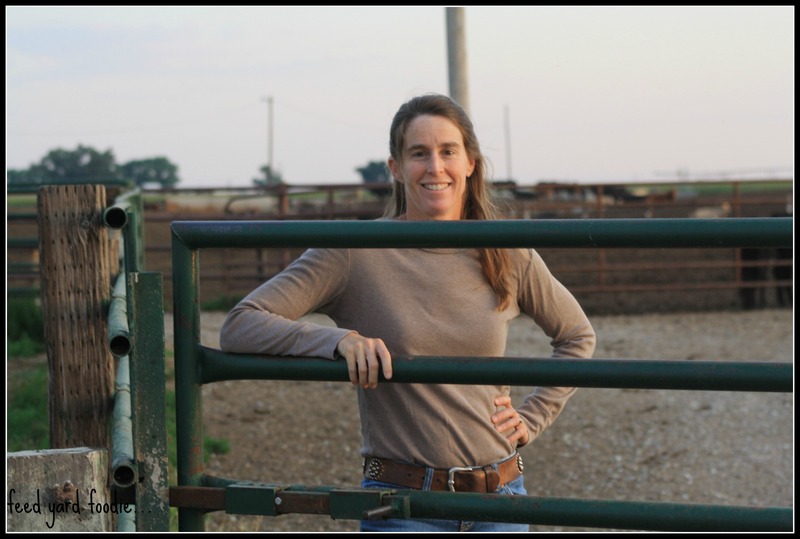 The Beef Quality Assurance program is a great place to start for this relative to beef production. A pack offers support but, in turn, requires its members to contribute in a meaningful way. Quality animal care is imperative and needs to be unanimously adopted across food animal production. The second step is acceptance of all farming practices that meet the basic standards, and respect for all farmers that care enough to join the pack of responsible food production. The third is an important element of teamwork – recognizing that no matter how strong we are as individuals — together we are stronger. Mutual respect and support of each other makes for a powerful combination and a unified voice telling the true story of food production. When I peruse the internet and see farmers fighting amongst each other or making their own way by belittling others, I am saddened. I think of the success that my daughter and her cross country team have on the running course, and I wish that farmers could be as unselfish and supporting as these teenage girls. 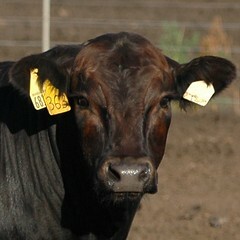 I think that agriculture needs its own wise coach to lead a unified effort to share the true story of American farmers. 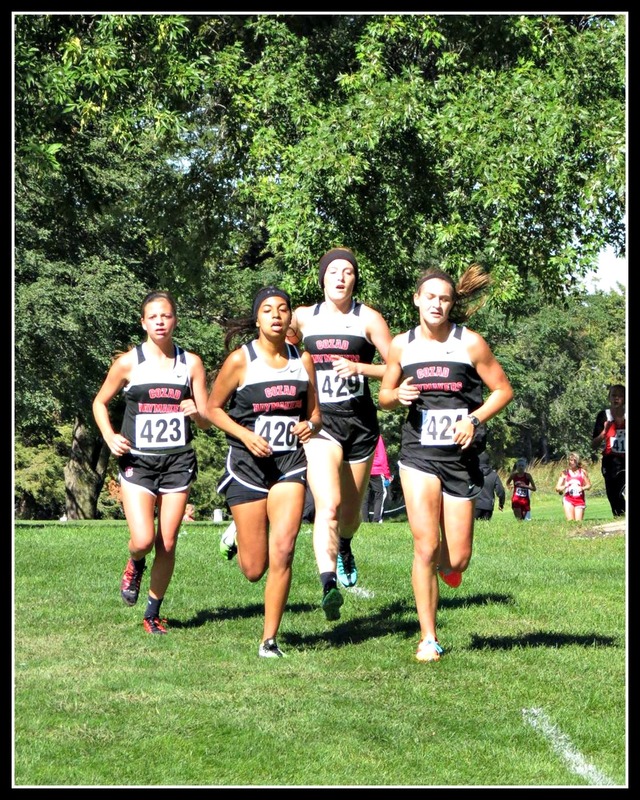 *Author’s note #1: In Nebraska, Varsity High School Cross Country runs 6 and scores 4. The four girls pictured at the top ran an impressive race as a pack finishing strong with Ashley Grace and one of her teammates running the last mile at 6:20 pace and finishing the 5K under 21 minutes. 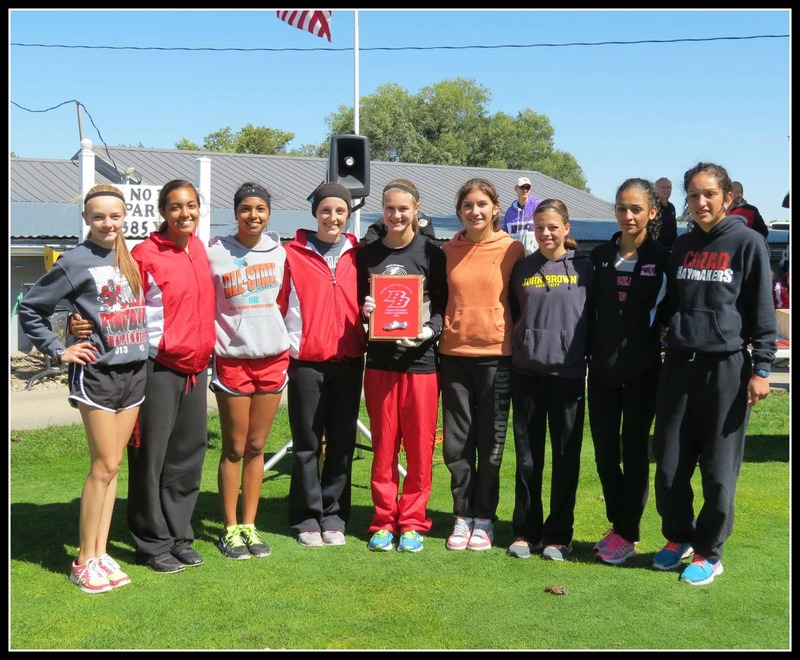 The second two runners were very close behind and the girls individually earned 10, 11, 12, and 13 places to win the title. This young team gets stronger and more confident with every day that passes — it is a true pleasure for this Mama to watch. Everyone wants to eat food that has been responsibly raised. Taking care of our Earth and the animals that roam on it is a priority for the vast majority of us. I believe that our future and the vitality of our families depends on good stewardship. As a farmer, I spend the majority of my day caring for our animals and our land. I try my best to make responsible decisions which ensure sustainability and judicious use of our resources. 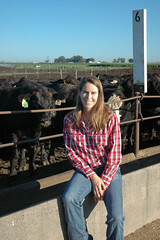 Animal welfare, food safety, and environmental stewardship are the core pillars that drive my decision making process. I believe in wisely developing and using technology to grow food. 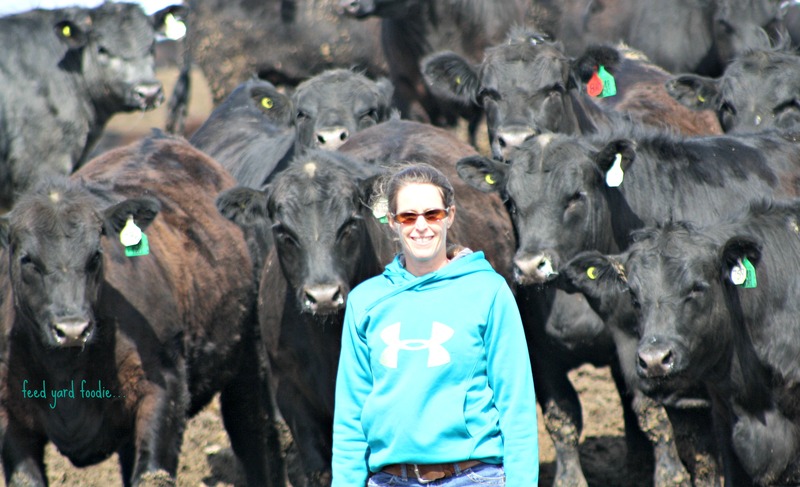 I think that technology improves the environmental footprint of my farm, the quality of my beef, and also the care that I offer to my animals. 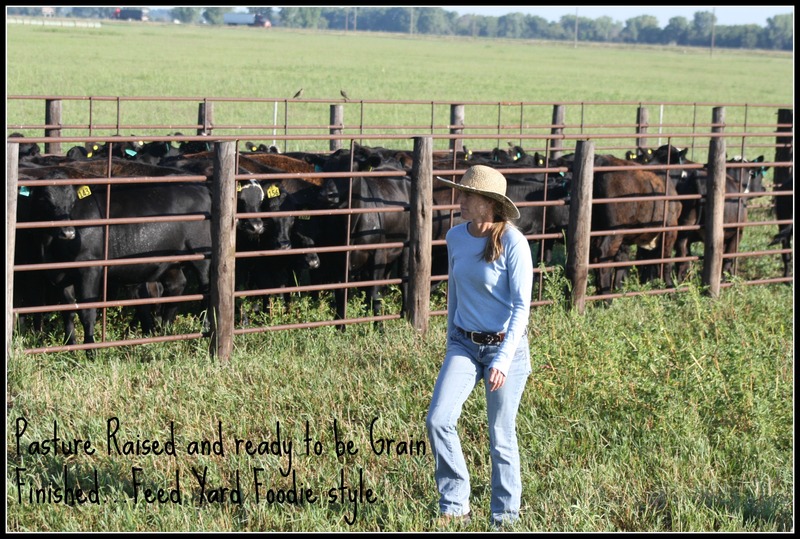 I believe that I grow responsibly raised beef—pasture raised on a ranch, and grain finished in a feed yard. Because there are a variety of eco-diverse regions where American farmers grow food, I do not believe that there is a “one size fits all” protocol for responsibly sourced food. I have faith that the vast majority of farmers make responsible decisions while raising food even as I recognize that many different types of farming practices are used to put quality food on the grocery store shelves. There is not one management system that is better than another provided that those systems maintain a commitment to animal welfare, food safety and environmental stewardship. It angers me when corporate food companies give into pressure from special interest groups, make demands regarding farming practices, and then use the term responsible sourcing as a marketing ploy to increase their profit margin. This type of practice belittles the American Farmer and confuses the American consumer. Responsibly raised and responsible sourcing covers the vast majority of the food grown in this country — it is not a special niche marketing tool to be manipulated — it is the reality of the United States food production systems. Is it too much to ask for a little bit of trust so that I can do my job as a farmer responsibly? It’s March. 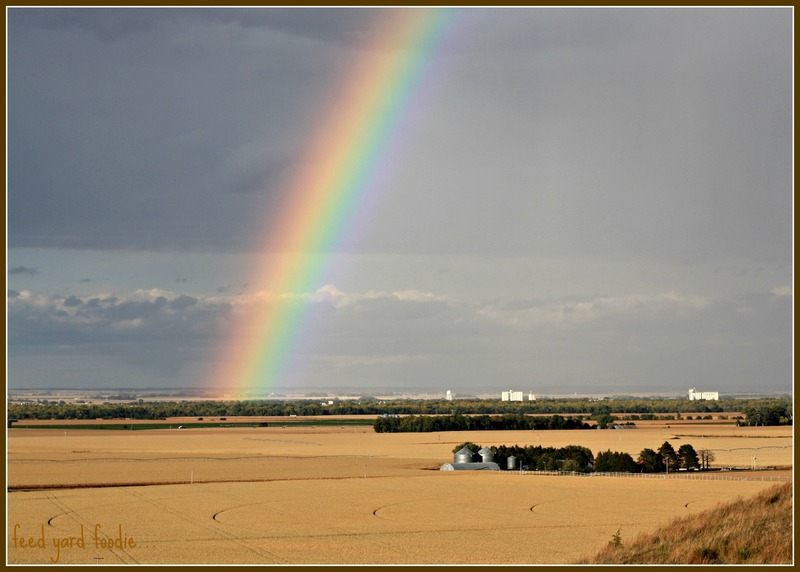 In Nebraska, this is the month known for wind, basketball, preparation for crop planting, and more wind. My favorite farmer is following the basketball tournaments with enthusiasm, while also developing a certain personal sense of March Madness as he begins to do field work and prepare for planting. As the calendar warns of spring, Matt’s internal clock starts to crank up a notch as low key winter chores turn into higher energy preparations for the growing season. One of the winter chores that we are wrapping up is hauling manure out of the feed yard pens to be used as fertilizer for our farm ground. Good soil health is critical to the sustainability of our farm. 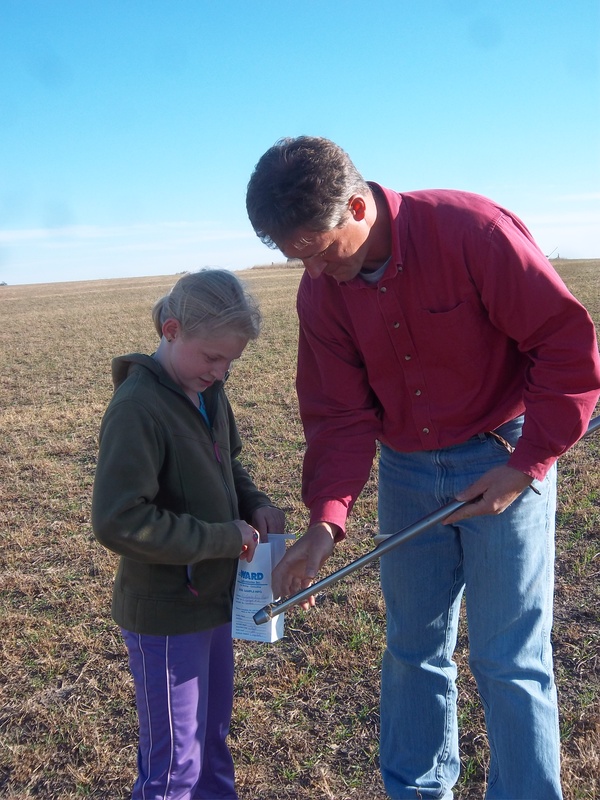 Taking soil samples from a field that will be tested at a local laboratory. The results tell Matt the nutrient levels in the soil. The by-product of my cattle (manure) plays an important role in both creating a healthy balance of soil nutrients and an active soil biology. While some people may view manure as “icky”, to Matt it is a valuable resource. 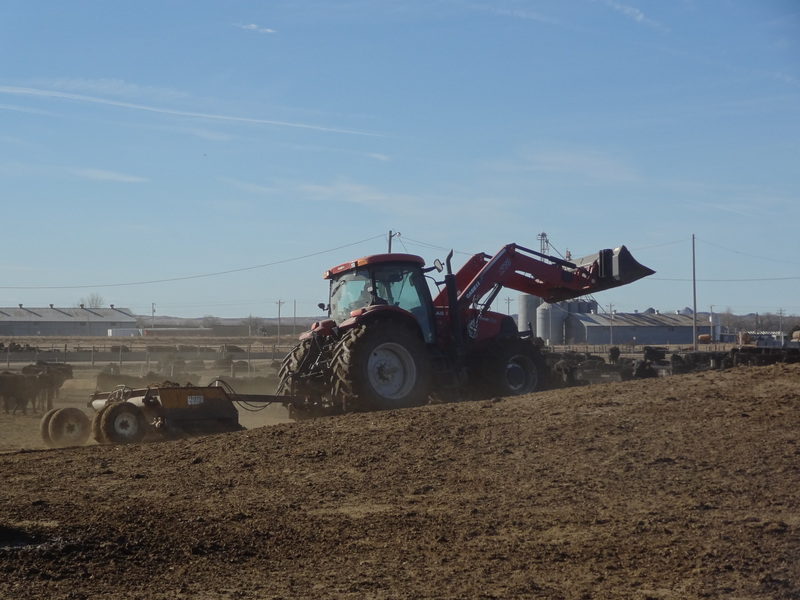 We harvest the manure by using a tractor and box scraper to lift the manure off of the surface of our feed yard pens. 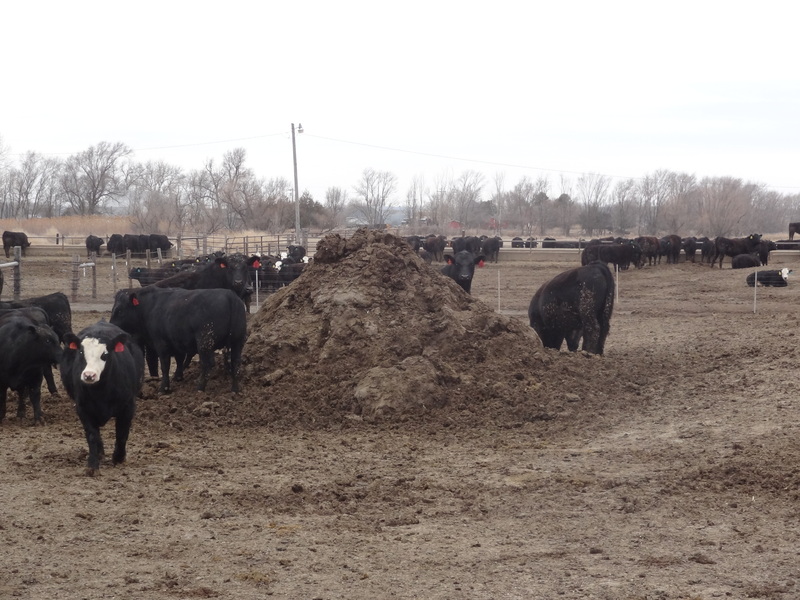 We pile this manure temporarily in the pens before Matt’s crew hauls it to farm land that has been identified through soil testing as needing fertilizer. Being diligent in cleaning the manure out of the pens serves a dual purpose. It not only provides Matt with a valuable resource for our crop ground, but it also ensures good living conditions for our cattle. 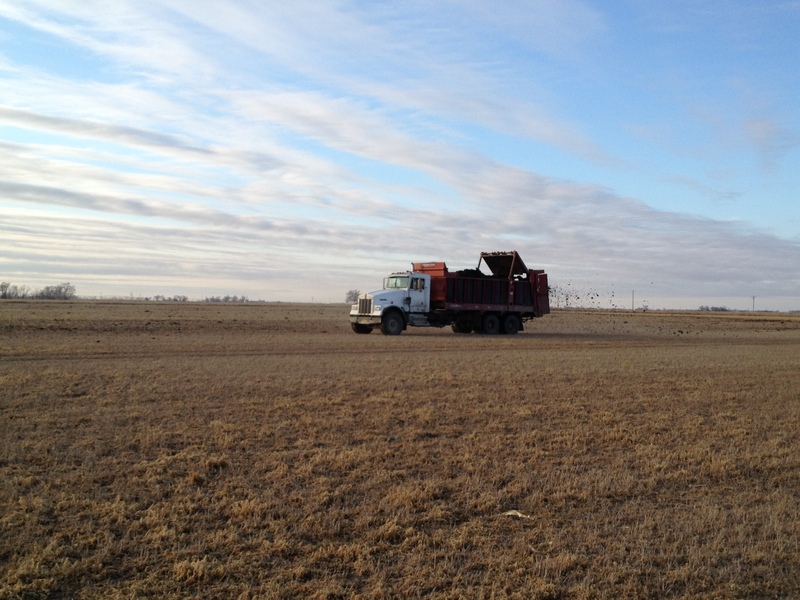 The manure truck transports the fertilizer from the feed yard to the appropriate field, and then spreads it on the land at an agronomic rate (determined by the field’s soil nutrient count and the nutrient levels in the manure). 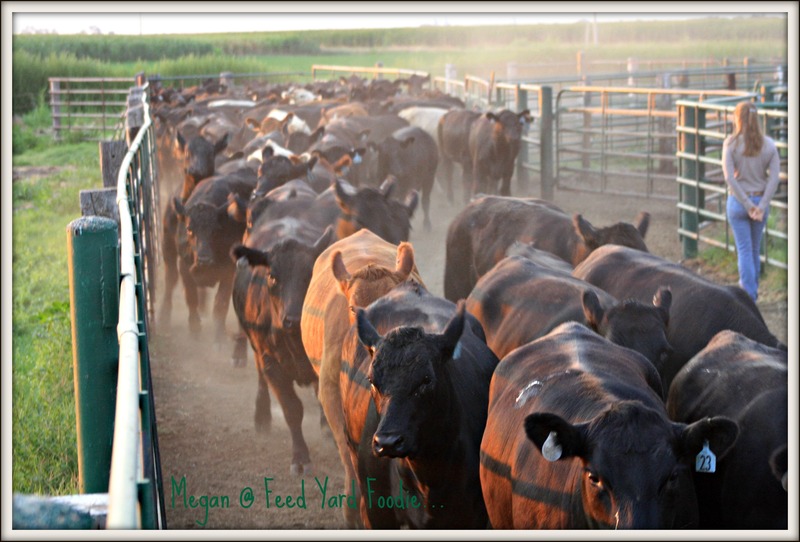 Cattle comfort is a priority to me because it is important for good animal welfare, but it also plays a role in reducing the environmental footprint of my feed yard. When my cattle are comfortable, they are more efficient in converting their feed into pounds of beef thereby making it more environmentally friendly. Harvesting manure “on farm” also allows Matt and I to have a more balanced and sustainable farm. We grow crops that are fed to animals, our cattle provide primary products (like beef) and secondary products (like manure). The manure is taken back to the farm ground to replace the needed nutrients that were taken out with the initial crop growth.